Hello Reader! A New Full Trailer is here for a Film starring Leonardo DiCaprio, Tom Hardy and other fine actor you enjoy. Check out the trailer and see whats new. 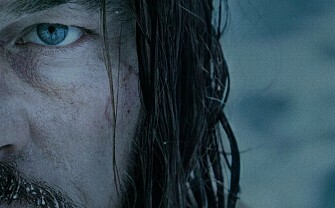 The Revenant is a heavy star-studded cast that is looking pretty epic, gritty and greatly shot. From the new full trailer We get the same great visual s as the teaser but with more action and great looking acting. Also we finally get to see Tom Hardy and so far the film is still looking like a beast. Looking forward to this one. What about you? Plot: Inspired by true events, THE REVENANT captures one man’s epic adventure of survival and the extraordinary power of the human spirit. In an expedition of the uncharted American wilderness, legendary explorer Hugh Glass (Leonardo DiCaprio) is brutally attacked by a bear and left for dead by members of his own hunting team. In a quest to survive, Glass endures unimaginable grief as well as the betrayal of his confidant John Fitzgerald (Tom Hardy). Guided by sheer will and the love of his family, Glass must navigate a vicious winter in a relentless pursuit to live and find redemption.